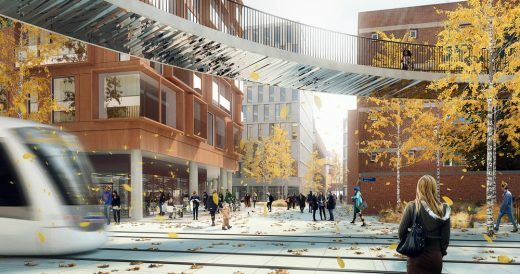 The vision is to turn Lindholmen into an area full of contrasts where students, business people and inhabitants can benefit from each other within the neighborhood. The undefined spaces between existing buildings will be turned into active, intimate urban spaces. 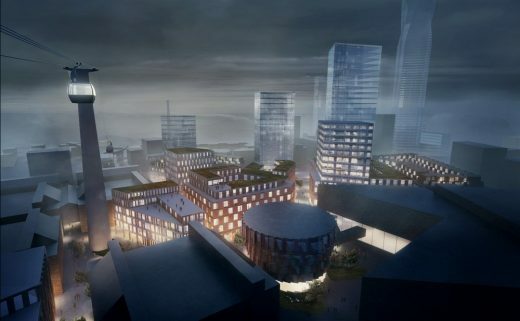 By integrating the river running through the area, the new Lindholmen will be given a unique identity that will be distinctive to the whole area. 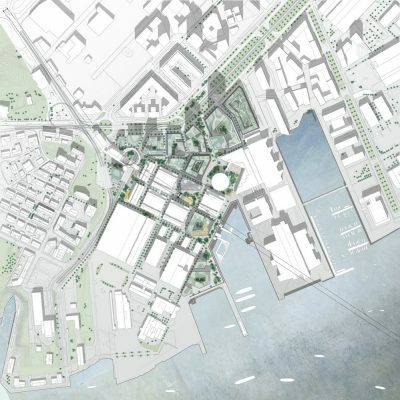 areas along the waterfront, so the masterplan for Lindholmen is also a part of and adapts to the development plan of the adjoining areas. Therefore, Henning Larsen’s proposal comes with a toolbox that ensures that the development plan is able to meet political and economic adjustments later in the process. 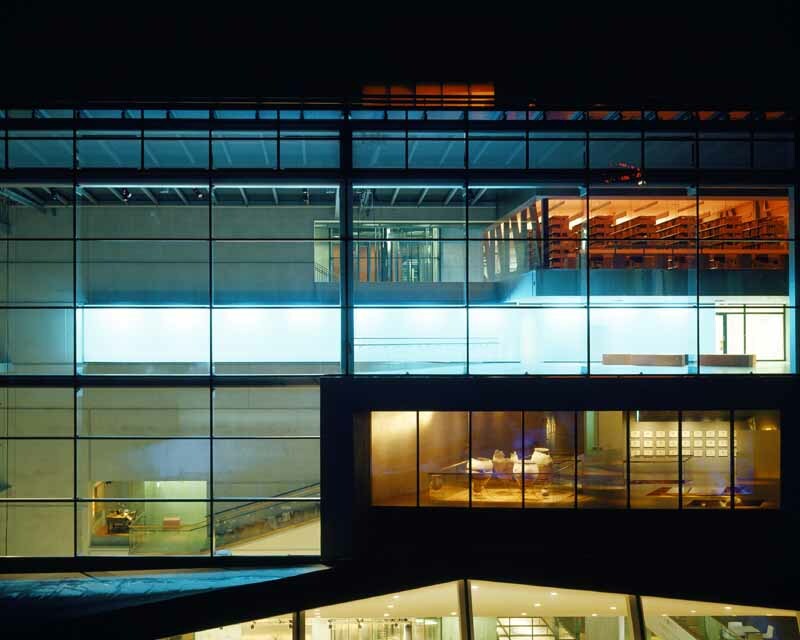 “It takes time to plan and erect a whole new area, so the plan has to allow a high level of flexibility. Our proposal gives all parties access to a number of tools that in their combination make a good, sustainable city. We are looking forward to entering into dialogue with the municipality, the university, the businesses and the users about how we are going to activate these tools to best effect,” explains Martin Stenberg, lead design architect at Henning Larsen. Towards the northeast, the new settlement meets an upcoming high-rise area that will include Sweden’s highest building ever. Along the water, towards the south, the buildings will be lower. The height and geometry of the buildings respond to the sun, wind, and shadow conditions and foster a comfortable microclimate within the urban spaces, which will create a more intimate environment and clearer identity. “It is the overall assessment that team Henning Larsen has presented the strongest plan for further development. The proposal is based on a dense urban structure with good urban qualities. 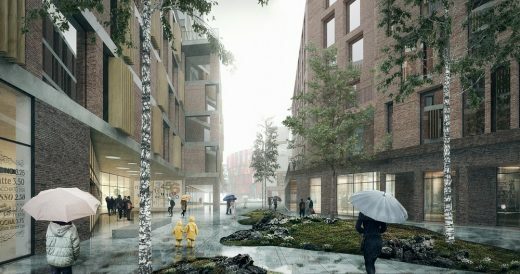 The main approach is clear and reflects a high level of flexibility,” writes the client Älvstanden Utveckling in a comment on the jury report. 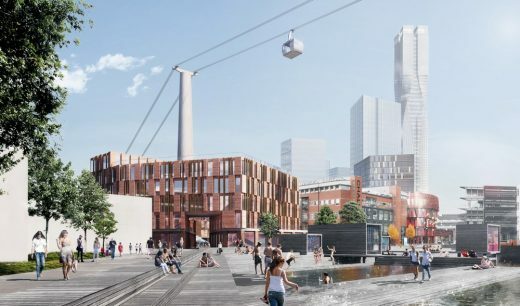 A public transportation hub, which will connect trams and bus lines with a future cable car going across the river, will be established Northwest of Lindholmen. This will make the area even more attractive for newcomers and businesses.